There is nothing better in this world than having a dress that holds all your important things (iPhone, lipstick, cards, and bar change)… trust me. I know. 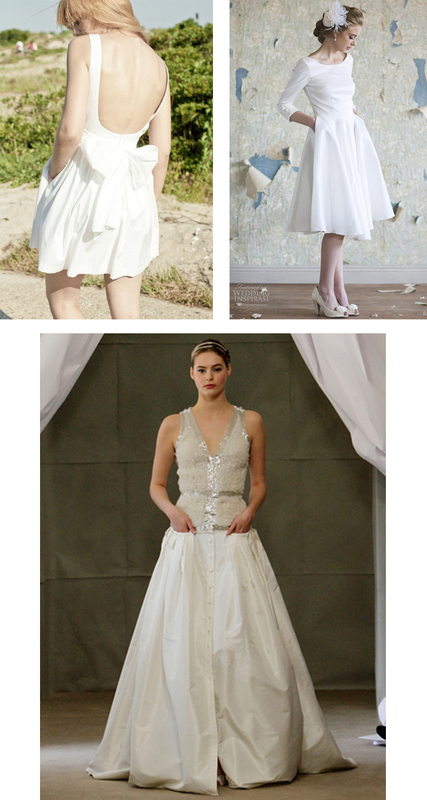 So when the trend of wedding dresses with pockets came along, I was ecstatic! Gone are the days where your MOH is bogged down with your phone, lipstick, touchups and kleenex. With an ample gown, you can store all of those things in your pockets! Hooray! Now, I have one fair warning for all those planning on stuffing their pockets full of goodies: Avoid bright coloured items! Heaven forbid your photos coming back with your neon pink phone case showing right through your beautiful dress! Also, if you are going to have things like lipgloss or lipstick in your pockets, throw them in a little ziplock first to avoid any chance of them seeping out on your white gown! Anyways lovelies! I can’t wait to share more 2013 trends with you in the coming weeks!